When I was born, the Aged Ps had been married for a few years, and my dad worked very long hours and was often sent out of the country for weeks at a time. So, when I was very small, my mum’s biggest challenge was to manage the household by herself and care for a small (and loud) child at the same time. In order to keep the house clean and tidy, mum would make the best of baby morning and afternoon naptimes to mop the floors, wipe down the surfaces and do the laundry. She felt that it was most important to keep the floor and beds clean and tidy, as these were the places that would be most in contact with the baby. As I grew older and more mobile, she bought a soft rug for me to play on, and trained me to stay on that rug during playtime so that she could complete her daily chores without worrying if I would be up to mischief. If my dad was travelling, she would make sure that we were home every evening at the same time, as my dad would ring the house at 6pm without fail to talk to us. This was a very important daily ritual for the whole family, and even now, when my dad travels for work or if mum travels to visit my sister, they will FaceTime or Skype with each other at least once a day. I will always appreciate the lengths that my mum went through to make sure that I acknowledged and remembered my dad, and understood where he was. She would bring out his photograph and point to it. She would point to the map and teach me to say the names of the places where he was working. She would make up songs about how much we loved each other. So, although he wasn’t physically present, I knew how important he was and our relationship was never diluted. Although mum really loves to cook, going to the market daily with an infant in tow was pretty tiring for her, so she would only purchase enough to make breakfast and dinner every day. Additionally, as a child, I would always be full of beans in the morning, so she wouldn’t really be able to take the time out to prepare her own lunch if she wanted to spend that time meaningfully with me. Mum often volunteered as the church organist and she sang in the church choir, so she would bring me along with her to attend rehearsals during the week. As an infant, I slept quietly in my moses basket during these times, and as I grew, I learned to sing along with her. The year that I turned 2 years old, one of mum’s friends persuaded her to send me to playschool. Although she felt that I was too tiny for schooling, it was around this time that my elderly maternal grandfather started to require regular medical checkups. As the only daughter who didn’t hold a paying full-time job, it was left to her to accompany my maternal grandfather to his various appointments. Sending me to playschool would allow her a few hours in the morning with which to manage this. However, one day, the medical appointment ran overly long and she was late in picking me up from playschool. By the time she arrived, she found to her utmost horror that all the teachers and the school principal had gone home, leaving me alone outside the darkened building with nobody but the school caretaker to watch over me. You can imagine how traumatised we both were from that experience. From that day onwards, as soon as we drove past the trees leading up the driveway to the playschool, mum said that I would start crying uncontrollably. She arranged to send me to a different school and I seemed perfectly happy with that – but she was much more careful to pick me up on time. This of course meant that she had to do much more shuttling back and forth if the medical appointments ran long, as she would pick me up from school and then drop me off at my maternal grandmother’s house, then return to the hospital to accompany my grandfather. Midway through my third year, my dad was posted to the US for further studies. He couldn’t bear to leave his family behind, so we all moved with him to a small town of Mobile in Alabama, which was near the university where my dad was studying sports medicine. We were the only chinese family there in the Deep South of America. It could have been dreadfully lonely, but my parents saw this as a great adventure. The community in that small town was very welcoming, and they were very respectful of my parents, who were not only english-speaking, but polite and well-educated. It took my parents a while to understand the sleepy southern drawl but eventually they got used to it. Instead of shyly keeping to herself, like most people would in a new environment, Mum made an concerted effort to be actively became involved in the community, bringing me to the local play school and dance studio and taking part in town events. She joined a quilting class and a cake decorating class in the mornings when I was at play school. Some afternoons, if my dad was at class, she would meet with the other housewives in the backyard of the rental complex where we lived. They would sit on the grass and chat whilst the kids played together. She was always smiling and gracious to everyone. She would exchange recipes with her neighbours and very often, people would come round to our house carrying an empty bowl to enjoy some authentic chinese cooking or bring some delicious meals to share. At the first neighbourhood potluck party, all of our neighbours had never seen or eaten chinese food before, and the whole dish of stir-fried vegetables and fried beehoon noodles disappeared in a blink of an eye. Our neighbour was so impressed with the delicate pieces of thinly sliced meat amongst the crunchy julienned vegetables that he remarked that my mum “can take one piece of meat and feed an army”! Until now, Mum still keeps in touch with her friends from Alabama – in fact our neighbour’s grandson has recently come to Singapore to work! 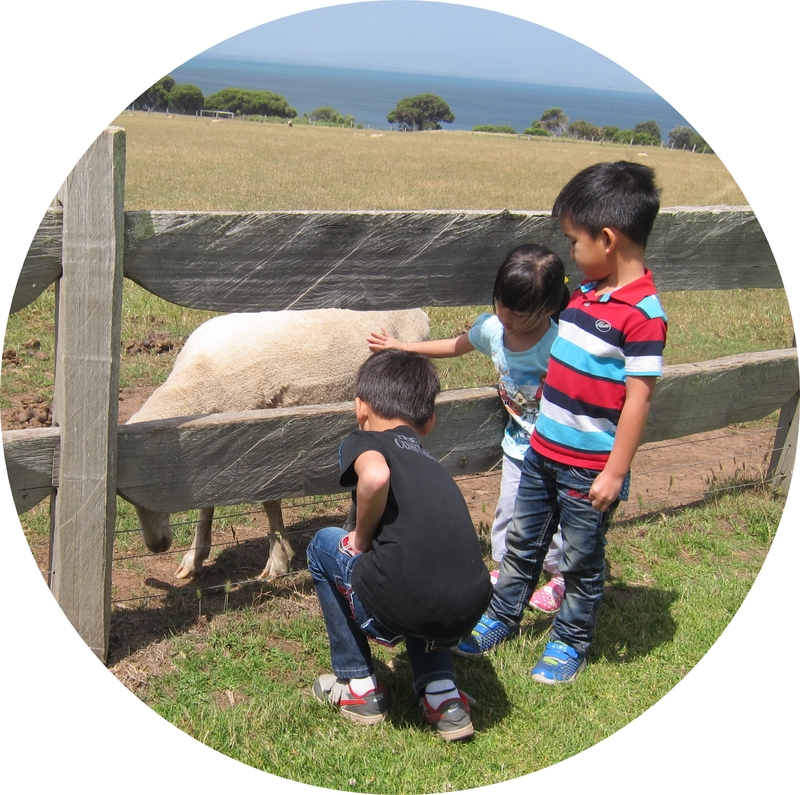 Of course, it was the constant travelling and their commitment to their elderly parents that probably made the Aged Ps decide put off having a second child until I was five years old and much more independent…but that’s a story for another post. If you would like to travel to the previous stops on this Blog Train and read more interesting birth stories, you can start with this very thoughtfully written one here, penned by Angie over at Life’s Tiny Miracles. Angie is the Mommy behind the Life’s Tiny Miracles blog. The journey to Motherhood has been a bittersweet experience for her. As a mom of 5 kids (3 in Heaven), Angie embraces every bit of this season: the tears, the insanity, the sacrifices and the joy that comes from knowing she’s loved as a wife, a friend, a daughter and a Mom. In her post, she talks about the importance of a strong and supportive community in a mother’s journey. 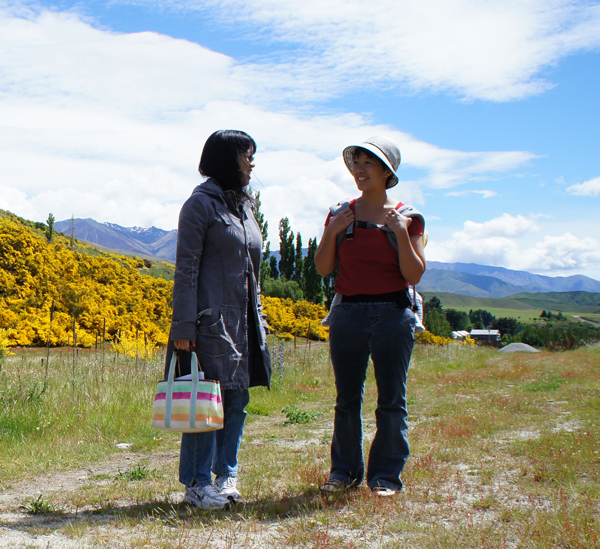 At next week’s stop we will be visiting Michelle over at Mummy Wee. Michelle is a mum to 6 kids and now that she has packed her last child off to school, she has time to channel her energies to her 7th baby, an enrichment centre she feels passionately about. I for one am very excited to read about how she manages all her kids – from her preschooler to her teenaged daughters – whilst working full-time at The Little Executive! Henceforth on Owls Well, all mothers will be referred to as RAWKmums as this term applies to all of you, whether you work from home, at home or away from home. Because all mums RAWK (Run Around With Kids)! Owls Well Wishes A Happy Mother’s Day to all of our Owls Well RAWKmums! P.S. Special thanks to LC – You RAWK too! The New Age Parents loves Owls Well! The New Age Parents features Owls Well on their Mother’s Day Spotlight! Excuse me while I go and bask in my own glory. 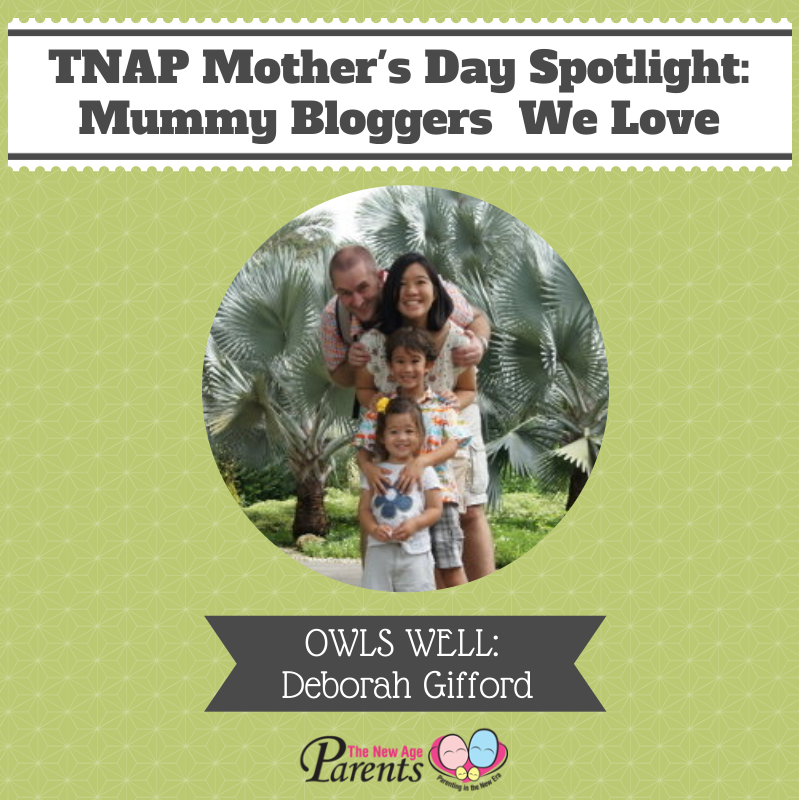 Read the full interview here: Mummy Bloggers We Love: Deborah Gifford, Owls Well | The New Age Parents. We also earned a quick mention in: The Life Online: 10 Mummy Bloggers We Love | The New Age Parents.